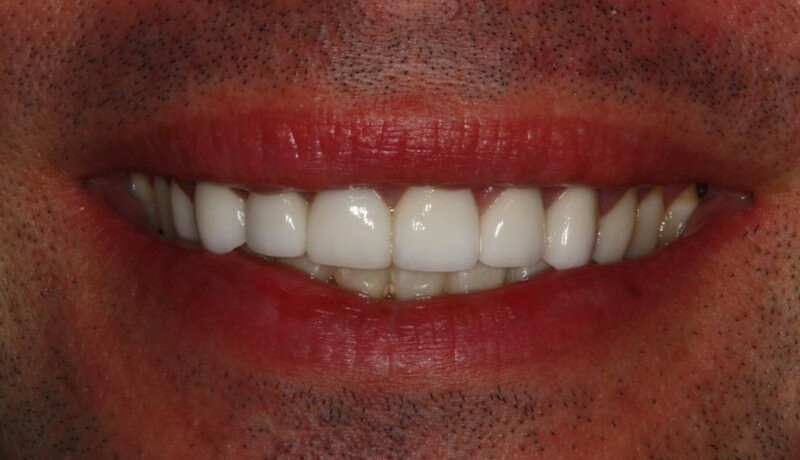 Situation: Years ago, Chris had veneers placed by another dentist; he never felt satisfied with the way they looked. 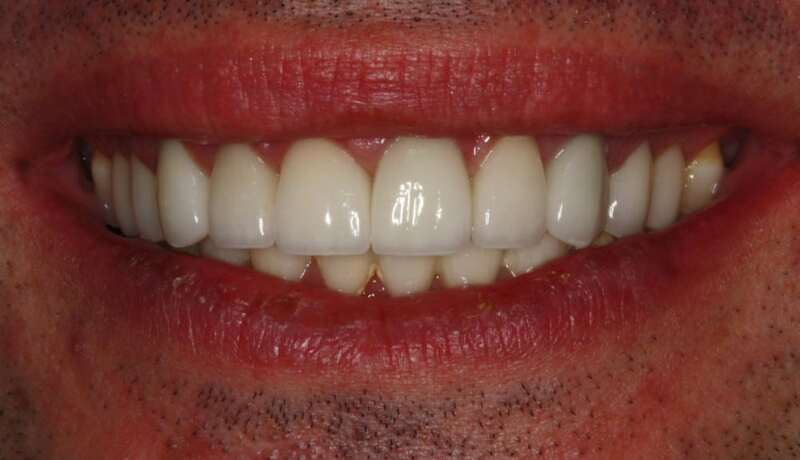 As an experienced veneer patient who was ready to get his look right, Chris chose Dr. Chris Hill to design a new smile using veneers with better translucency for a more natural appearance. 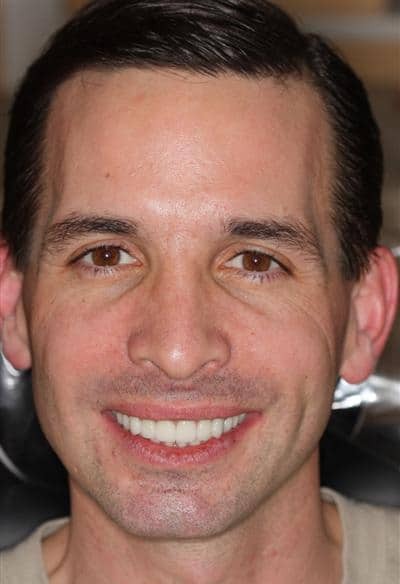 Solution: Dr. Hill and Chris used a partnered approach. Together, they covered every detail such as tooth shape, curvature, texture, color and translucency. 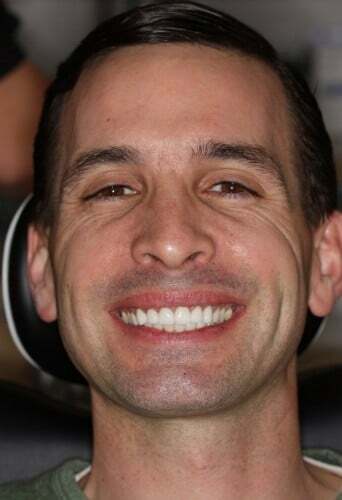 Dr. Hill worked with his dental laboratory to create the new veneers designed precisely to Chris’ specifications.